CHIZHI is a body which creates cultural bridges between the East and the West. It has staged a number of exhibitions in China featuring the works of Gaudí, Dalí y Miró. The Centre Picasso currently exhibits a total of almost 200 works which correspond to the two visits of Picasso to Horta and to his “evocations”. There are only a few works which remain to be found. We continue to search for these works, but for the moment we have been unable to determine their owners. 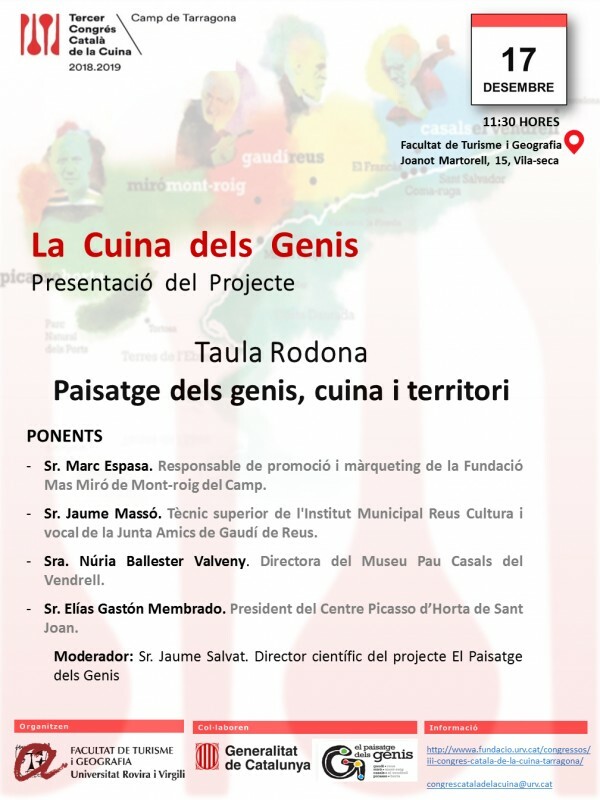 We took part in the 3rd Catalonia Culinary Conference and participated in the project Geniuses’ Kitchen: Picassso, Miró, Casals and Gaudí which was led by the tourist proposal El Paisatge dels Genis (The Landscape of Geniuses) and Rovira i Virgili University .